Reviewing rosters for #Budapest2018 and #Trnava2018 and Richard Perry's recent accident. Daton FIX (USA) and Gable STEVESON (USA), the duo of American returning champions lead a freestyle #Trnava2018 field that boasts 245 wrestlers from 40 different nations. Gadshimurad RASHIDOV (RUS), 2017 world runner-up. Photo by Max Rose-Fyne. Warsaw, Poland will host the Poland Open on September 7-9, and Russia's two final freestyle World Team spots will be up for grabs. The two remaining weight classes that have not been cemented are 61kg and 65kg. Click HERE for Poland Open homepage. Richard Perry, the No. 3 ranked 86kg American freestyle wrestler suffered a horrific injury during a recent national training camp. It has been reported that Perry’s eye was impaled, causing brain injury. Please click HERE if you would like to contribute to the Perry Family Go-Fund Me page. Peter BACSI (HUN), 2014 world champion. Photo by Martin Gabor. Seven Hungarian Greco-Roman wrestlers from last year’s squad will again represent Hungary at the World Championships. The only difference, this year it’ll be on Hungarian soil. Tamas LORINCZ (HUN), the 2017 world runner-up and Paris bronze medalists Balazs KISS (HUN) and Balint KORPASI (HUN) are the three returning medalists that will represent Hungary at the World Championships. The three remaining wrestlers that made the Hungarian squad are 2014 world champion Peter BACSI (HUN), and first-time representatives Jozsef ANDRASI (HUN) and Krisztian VANCZA (HUN). Another interesting note regarding the Hungarian World Team, Tamas and Viktor Lorincz have competed on Hungary's Greco-Roman team at twenty World Championships and Olympic Games. Yui SUSAKI (JPN), 2017 world champion. Photo by Max Rose-Fyne. 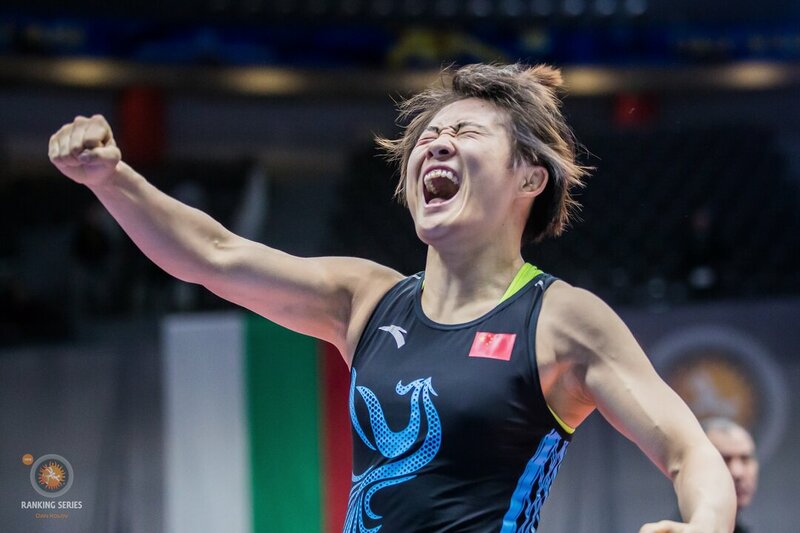 The final women's wrestling and Greco-Roman entries for the #Trnava2018 World Championships have been submitted and the most surprising entry comes from reigning senior-level world champion, Yui SUSAKI (JPN). In Greco-Roman, three reigning champions in Kamal BEY (USA), Kerem KAMAL (TUR) and Amin KAVIYANINEJAD (IRI) are registered to defend their titles from last years Tampere Junior World Championships. Click HERE to see women's wrestling entries. Click HERE to see Greco-Roman wrestling entries. 1. Big Move Monday! Don't Miss the #grappling #world#championships in #astana #kazakhstanfrom the 6th of september. 2. Serbia’s 🇷🇸 first-ever European medalist, Stevan MICIC (SRB) / @stevanandrijamicic has registered for #Budapest2018 at FS 57kg. 3. Tamas and Viktor LORINCZ (HUN) will represent Hungary 🇭🇺 at the #Budapest2018 World Championships. Combined, the brothers have competed on Hungary's Greco-Roman team at TWENTY World Championships and Olympic Games. 4. Turkey’s 🇹🇷 GR #Trnava2018 World C’Ship Lineup. 5. ‪Kyrgyzstan’s 🇰🇬 Junior GR World C’ship Team. #Trnava2018‬. @akjol_mahmudov . Serbia’s 🇷🇸 first-ever European medalist, Stevan MICIC (SRB) / @stevanandrijamicic has registered for #Budapest2018 at FS 57kg.